A replacement basin unit for the Brooklyn 800mm Grey Avola floor standing vanity unit. 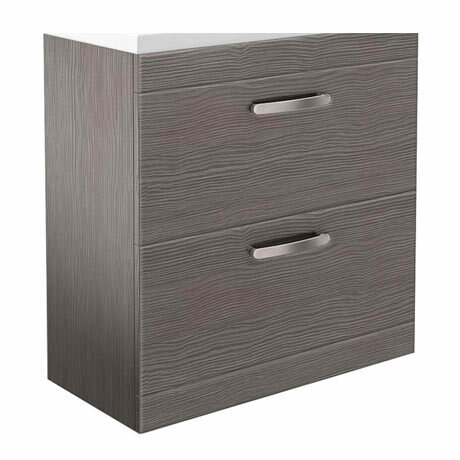 With a high quality textured wood effect surface and supplied with satin nickel handles. Dimensions: (W)800 x (H)865 x (D)383mm approx.